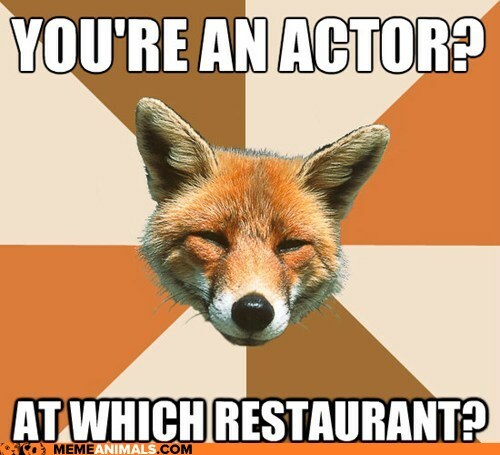 To be a great actor, you must be an actor. To be an actor you must understand what it is to be a stand in and an extra. To do that, you must wait tables.